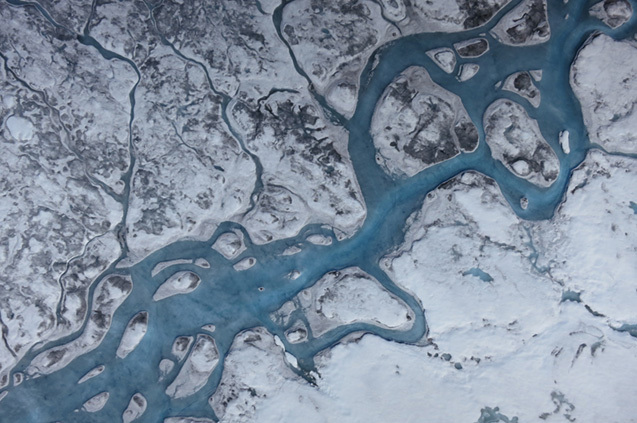 Sarah Doherty, a research scientist at the UW’s Joint Institute for the Study of the Atmosphere and Ocean, was co-author on the study, which has found that the darker ice sheet is caused by Climate Change rather than air pollutants. The researchers have found that warming leds to larger ice crystals and more impurities coming to the surface of the ice, which leads to even more melting as the darker ice absorbs more sunlight. The findings will help scientists better model the effects of Climate Change and the contributions of Greenland's melting ice to future sea-level rise.